**image shown is on a Union Jack Mannequin! two side and one seat pockets. 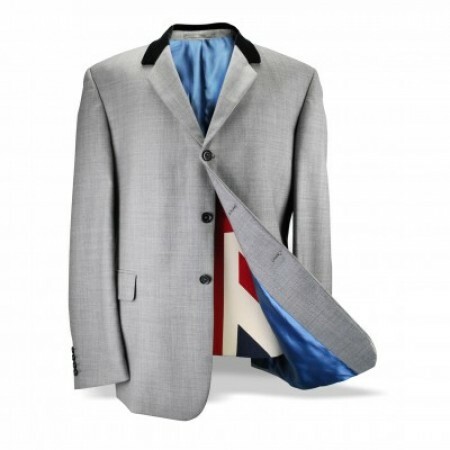 The Chesterfield Suit is based on the ones worn by the Beatles on numerous occasions during the 1960's. Trousers - Available in sizes 30″ to 46″ waist, Short (30"), Regular (32") and Long (34") Lengths.